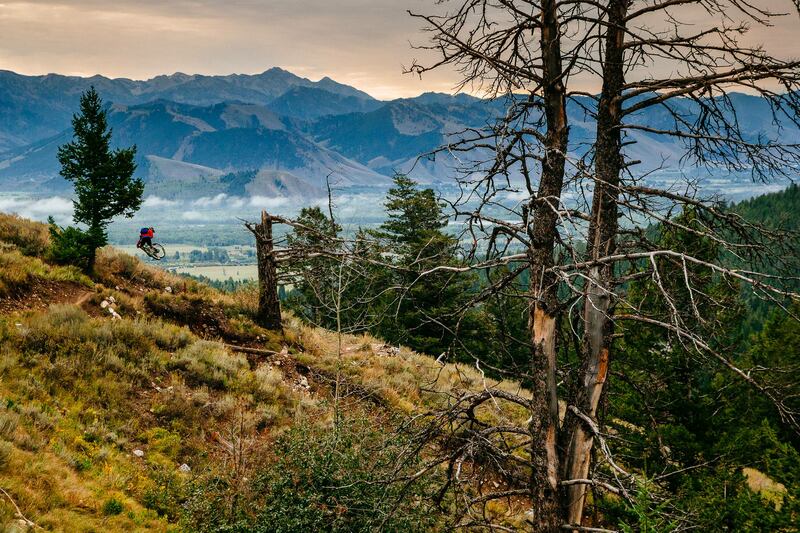 Photos for a feature article about the growing mountain biking community in and around Jackson, Wyoming. The final project took up 21 pages in the issue including the cover. 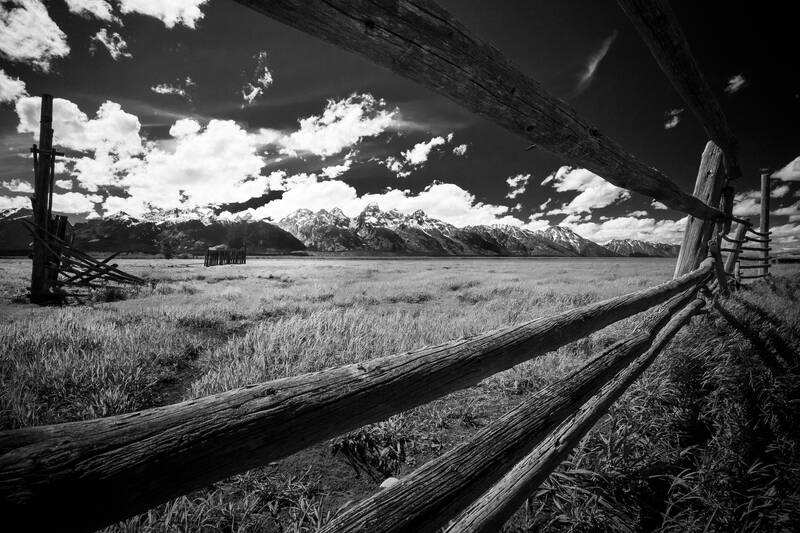 The old fence corral of the Mormon Row buildings in Grand Teton National Park near Jackson, Wyoming. 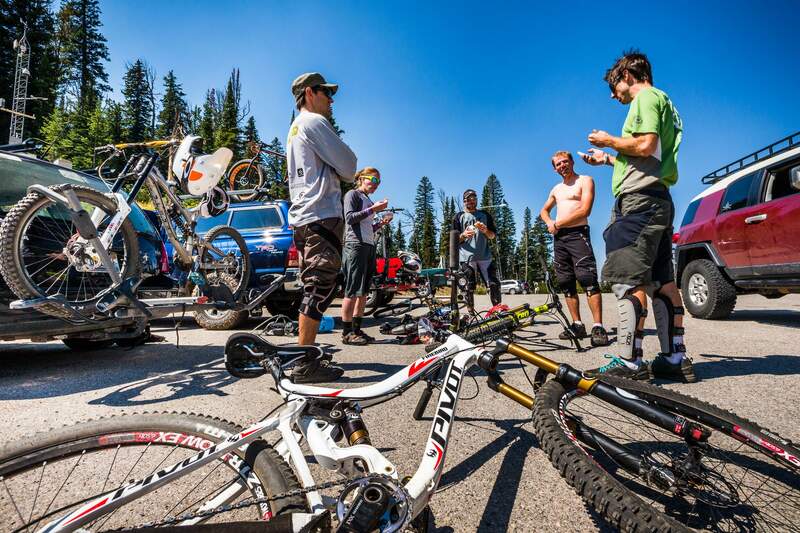 A group of downhill mountain bike riders plan their next assualt off Teton Pass near Wilson, Wyoming. 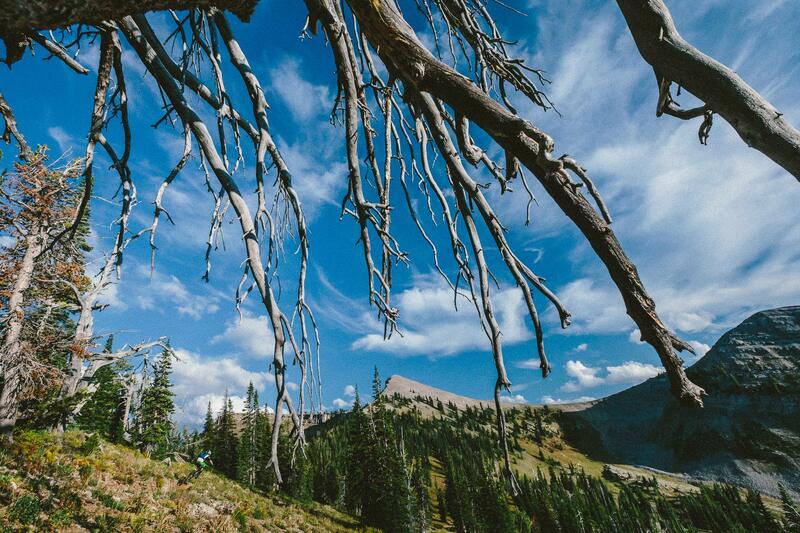 Andrew Whiteford rides the lift accessed Grand Traverse Trail on Grand Targhee off of Fred’s Mountain. 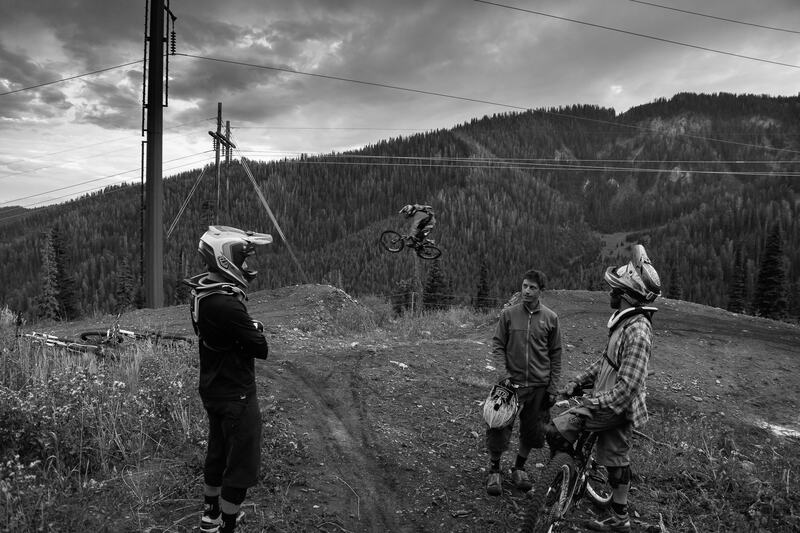 Aaron G drives Andrew Whiteford, Kyle Dowman, Rob LaPier, and Jay Goodrich to the top of Teton Pass to ride Fuzzy Bunny. 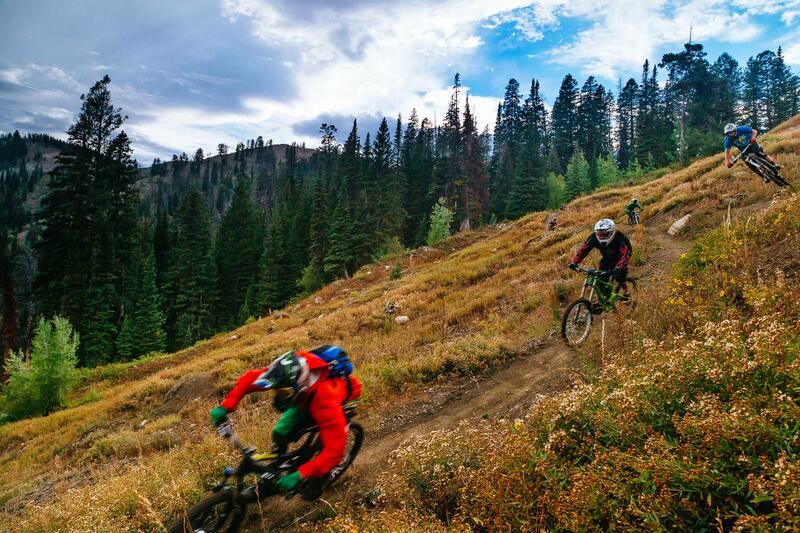 Andrew Whiteford, Mike Wieser, Kyle Dowman, Jake Hawkes, Rob LaPier, and Aaron G decend through the first section of Fuzzy Bunny off of Teton Pass near Wilson, Wyoming. Andrew Whiteford gets table top air as other riders have a conversation about the evening weather on Teton Pass near Wilson, Wyoming. 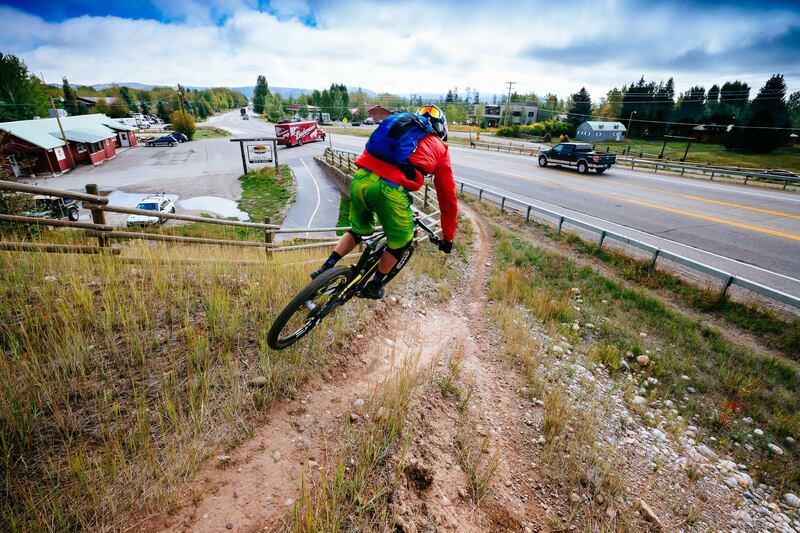 Andrew Whiteford descends the Parallel Trail on Teton Pass near Wilson, Wyoming. 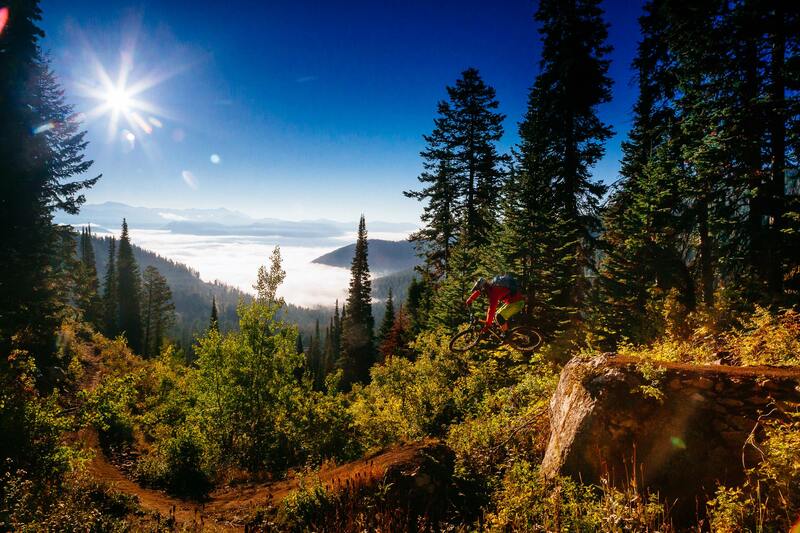 Andrew Whiteford rides the lift accessed singletrack trails of Grand Targhee Resort at sunset in summer. 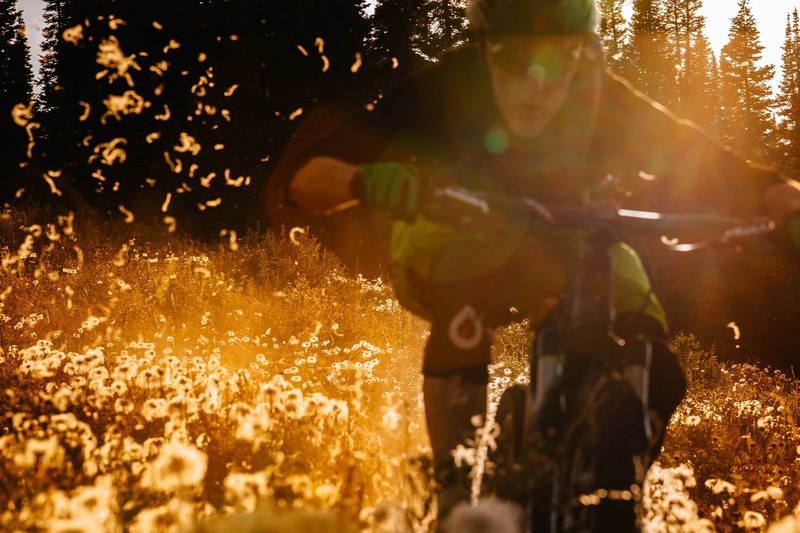 Andrew Whiteford rides through a wildfire burn that crossed singletrack in Jackson, Wyoming. 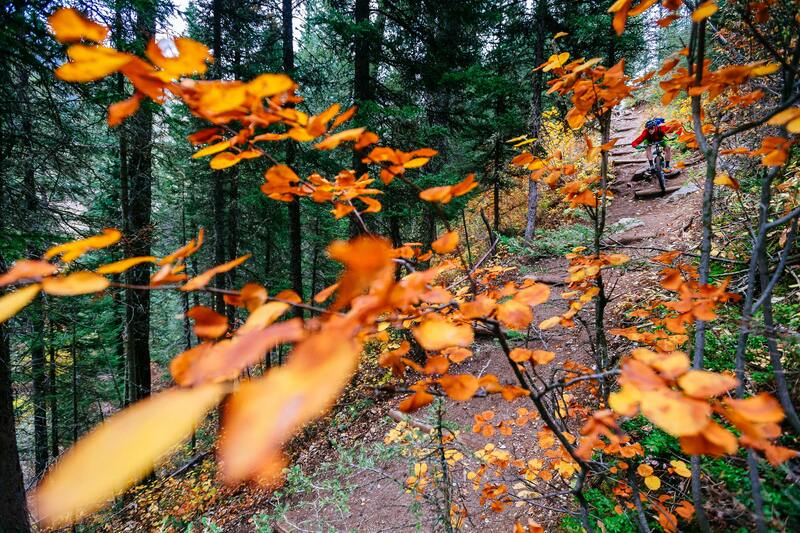 Andrew Whiteford descends the Fuzzy Bunny Trail on Teton Pass near Wilson, Wyoming. 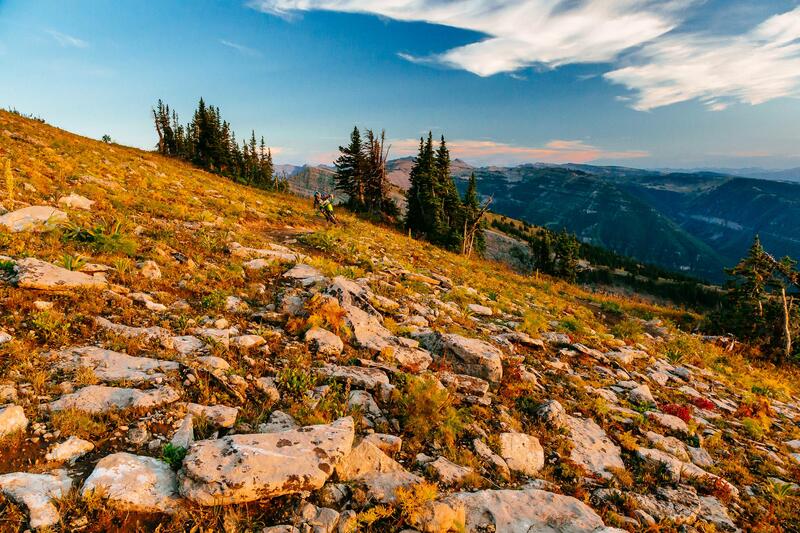 Andrew Whiteford riding through the grasses along Highway 22 heading towards the bottom of the Teton Pass in Wilson, Wyoming. 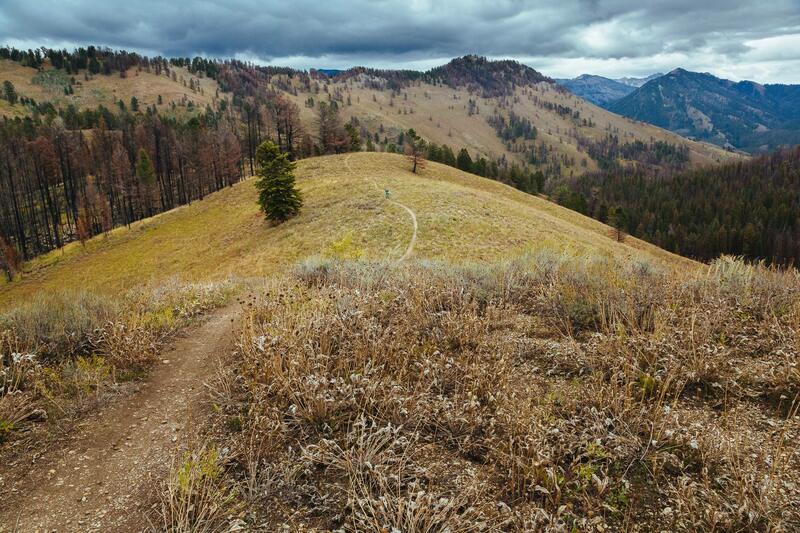 Andrew Whiteford rides the Hagen Trail singletrack off of Snow King Ski Area in Jackson, Wyoming. 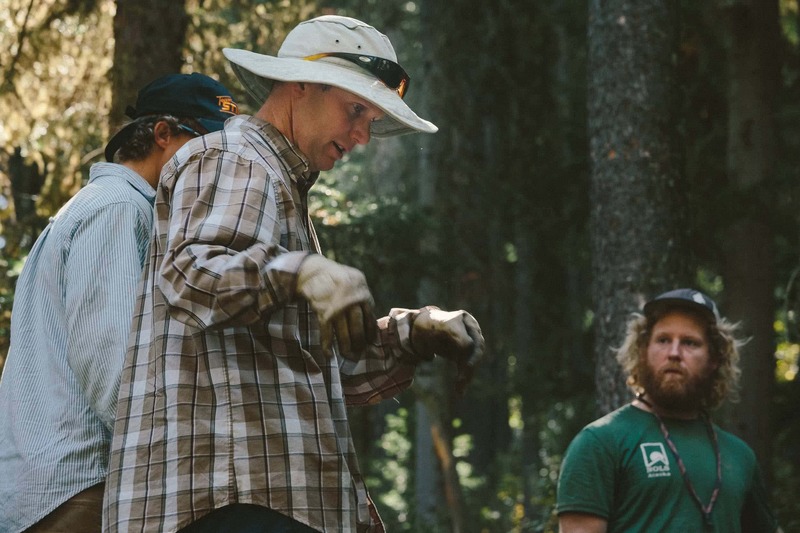 Harlan Hottenstein explains what is on the day’s activities during a Teton Freedom Riders trail building day. 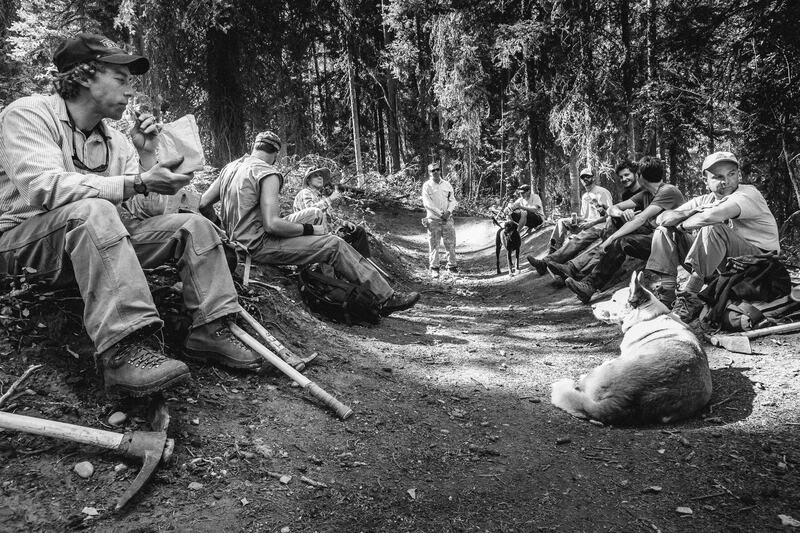 Trail builders take a break during a Teton Freedom Riders build day on the Lithium singletrack. 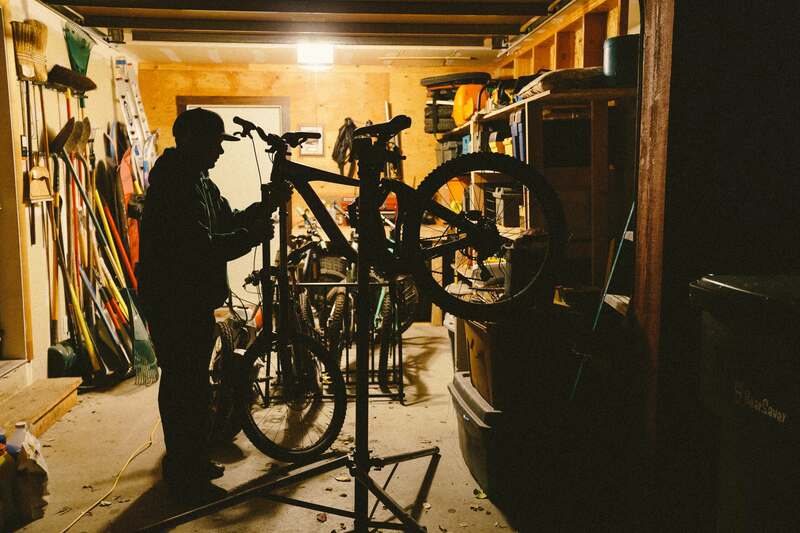 Harlan Hottenstein repairs his wife’s Rockshox Boxxer fork out of his home garage in Wilson, Wyoming. 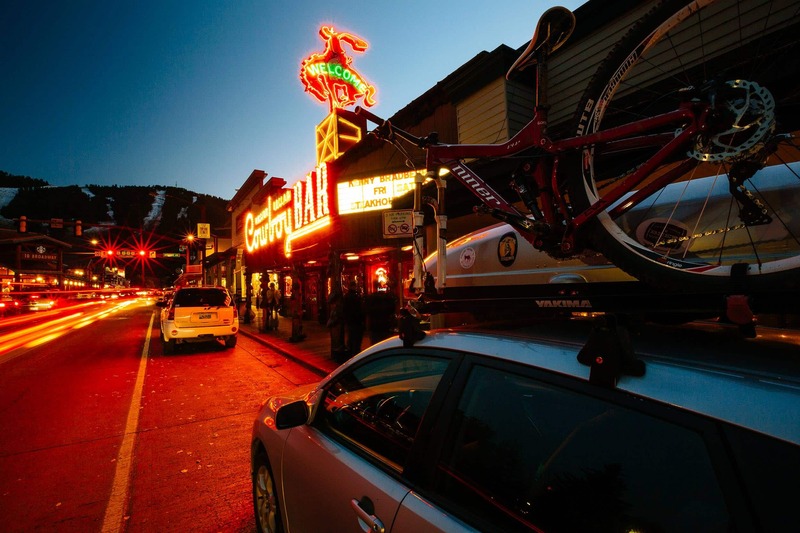 Cars parked near the Million Dollar Cowboy Bar in downtown Jackson, Wyoming. 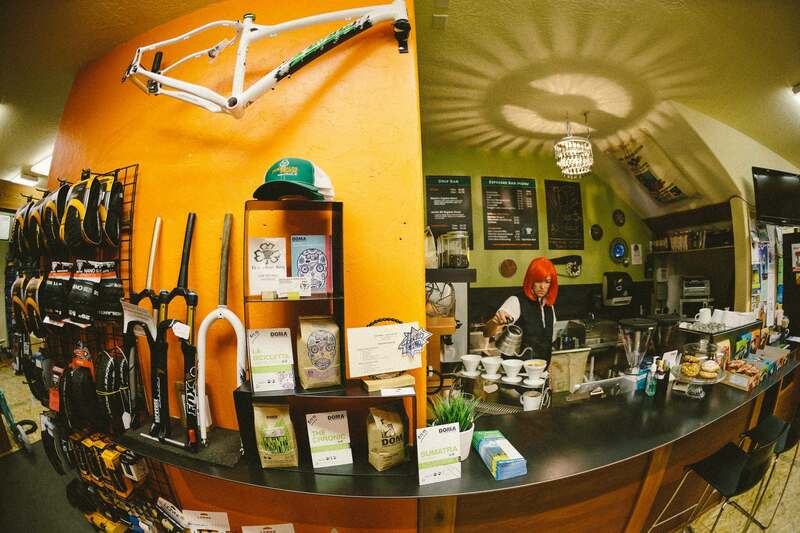 Evangelian Berning brewing up potent coffee at the Fitzgerald’s Bike Shop in Victor, Wyoming. 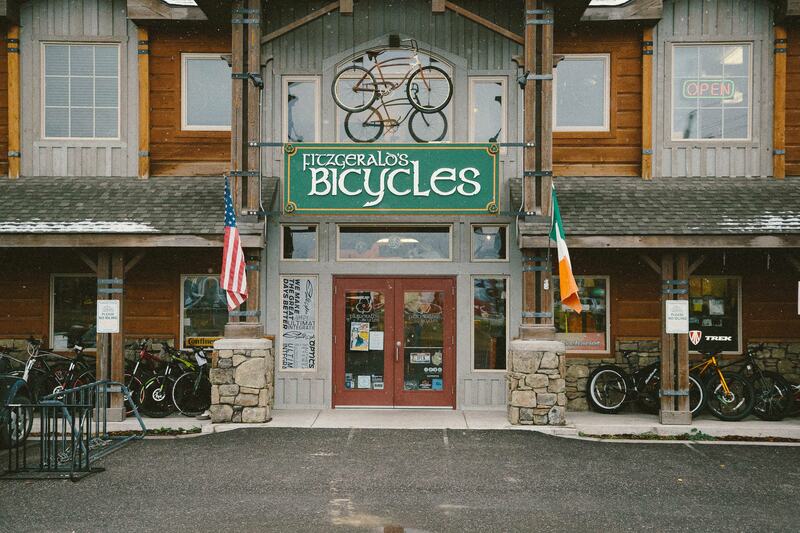 The exterior of Fitzgerald’s Bike and Coffee Shop in Victor, Idaho.